Take to the court in comfort and confidence with the Wilson nVision Elite Men’s tennis shoes. Great levels of cushioning come from the R-DST+ foam in the midsole and there are a number of technologies that stabilise and protect feet and enhance your movement. The light Endofit upper gives a secure and comfortable fit and the 3D Arch Support smoothens heel to toe transitions. The Dynamic Fit 2 system keeps your foot lower to the ground for quicker movement and good lateral stability, and there is additional support in the midfoot area. The outsole is non-marking and uses abrasion-resistant Duralast rubber to improve durability, and these all-court shoes even come with a 6 month outsole durability guarantee. 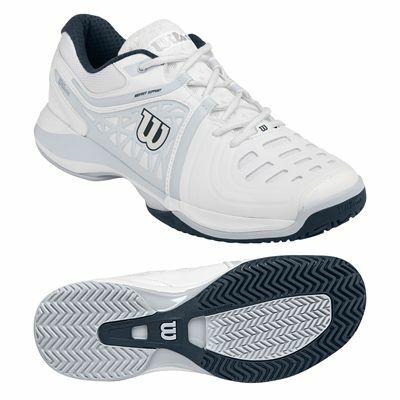 for submitting product review about Wilson nVision Elite Mens Tennis Shoes.